It’s a classic World War 2 tale of a destroyer hunting an enemy sub…IN SPACE!!! 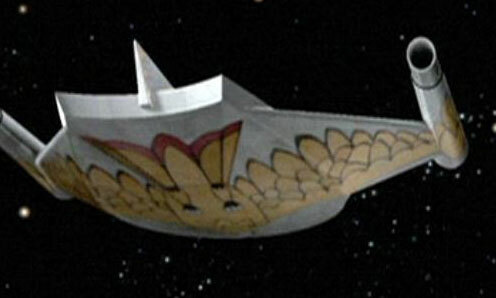 Discussing perhaps the best episode to date, the TrekQuesters dive deep into the murky celestial waters of space combat while celebrating the arrival of the Romulans into the Star Trek universe. Yes, the Romulans must have had warp drive, and yes, it’s darn strange that a plasma bolt can travel at warp 10, but even these Spock-defying bouts of illogic can’t ruin this action-filled sci-fi tale. With an intense cat-and-mouse pursuit as the background, an over-arching theme exploring bigotry, and the death of a groom-to-be on his would-be wedding day, this is Star Trek at its most serious level. Still, The TrekQuesters found plenty of opportunities to cite some of the funnier aspects of the show, whether the writers meant them to be or not. Have you ever built a model of the Bird of Prey? Do you wear a helmet to hide your lack of pointed ears? Have you ever fought a war with an enemy that no one’s ever seen? Let us know your thoughts in the comments or send us an email at StarTrekQuest@gmail.com.